Wind Advisory Until 7 P.M. 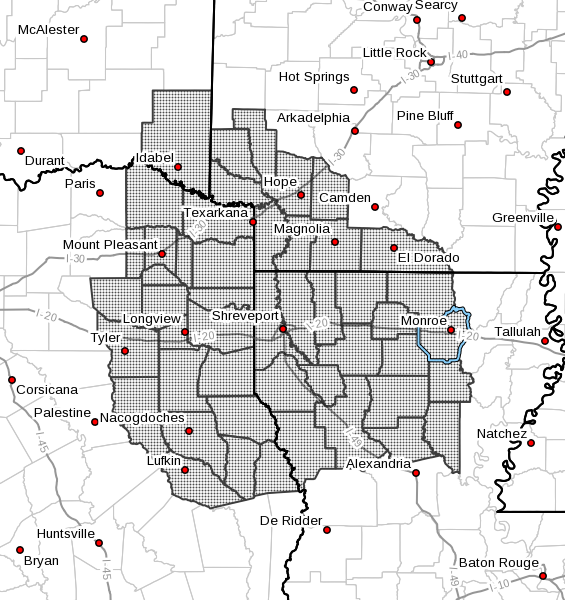 The National Weather Service in Shreveport has issued a Lake Wind Advisory, which is in effect from 9 AM this morning to 7 PM CDT this evening. A tight pressure gradient will persist across the region today in wake of a cold frontal passage Monday evening Northwest winds will increase to 15 to 20 mph with gusts to 30 mph by mid-morning, and continue through the afternoon before diminishing quickly after sunset. A Lake Wind Advisory indicates that winds will cause rough chop on area lakes. Small boats will be especially prone to capsizing.